In an attractive floral poppy design the kettle is much more than just an attractive exterior, hiding a myriad of functionality. With a generous 1.7 litre capacity, you can boil enough water for the whole family, while a water gauge ensures that you only boil the water that you need. Range of retro colours. Therefore products may differ slightly to the image. Opening Hours We are openMon - Fri 07:30 until 16:00. Superior S/S body. 1 x Swan Retro 1.5 Litre Jug Kettle, 3KW. Automatic cut-off and boil dry protection features are built in for safety. Food & Preparation. Cordless design, easy pour and 360-degree base, ideal for left or right-handed users. Stainless steel body with 'Soft Touch' matte finish. Removable, washable scale filter. Cordless operation with 360° rotative cordless base with cord storage. Minimalist, streamline design with an integrated spout. Want the ultimate in brew-making convenience in one compact, stylish appliance?. That'll be the 1.7 litre Jug Kettle from Swan. Automatic cut-off and boil-dry protection technology give added safety. 360 Degree Base. ÔÇØú%^& ()@,?. : Our system cant process these symbols and so there will be a hold up with your order . This will need to be set up directly with the manufacturer. Details of this will be enclosed with the item. Distinctively Fearne. Quiet 3kW Jug Kettle. 3KW Quiet Boil. Dry Boil Protection. Automatic Shut Off. ÔÇØ ú %^& ()@,?. : Our system cant process these symbols and so there will be a hold up with your order . Swan Retro Jug Kettle, Cordless Design, Stainless Steel, 3kW, 1.7L,green. Cordless design, Easy Pour and 360 degree base, ideal for left or right handed users. 3kW Rapid Boil for optimum efficiency along with automatic cut out and boil dry protection. Boasting chic, retro-influenced design and a wealth of functionality, the Swan 1.7 Litre Retro Jug Kettle is a fantastic addition to any kitchen. The kettle has a 360 degree cordless base which makes for both left and right handed use, whilst the water gauge will allow you to avoid needless overfilling. 3000W Rapid Boil. Automatic cut-off and boil dry protection features are built in for safety. 360 degree base. 1.7 litre Capacity. NEW SWAN KETTLE ~ BLACK AND COPPER/ROSE GOLD ~ BNIB! TAKEN OUT OF BOX JUST TO PHOTOGRAPH. High quality electric kettle! Cordless design. Built in water filter. Colour: Blue (As pictured). OUR MISSION. Distinctively Fearne. Featuring a large 1.7L capacity, this kettle has the space to make up to 7 drinks from one fill, with an easy pouring spout for precise application into the cup. The 360 degree rotational base provides optimal access to the kettle from any angle for an easy pick up and place down. With its compact design and 400ml capacity, the Swan Travel kettle is the perfect solution for hot drinks on the go. An overheating function ensures optimum safety. 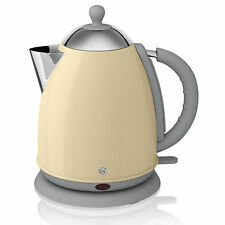 The kettle operates from 110V-240V and is fitted with a 13amp fuse. This Swan travel kettle has a 0.4 Litre Capacity. It has a Overheating Protection function and Locking Hinged Lid. It Operates from 110V to 240V and is Fitted with 13amp Fuse. 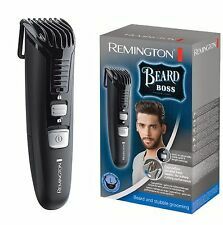 All accessories supplied with a product are subject to upgrade or change at the manufacturer's discretion. Electric kettle Jug With Washable Filter. Unique And Cordless Design. 1.7 Liter Capacity. Width: 22 cm x Height: 13 cm x Depth: 25.5 cm. Energy efficient 1080W. Cordless design and easy pour for your convenience. Want the ultimate in brew-making convenience in one compact, stylish appliance?. That'll be the 1 litre Jug Kettle from Swan. A beautiful traditional kettle in a deep copper colour,this is a new kettle in a tatty box. Distinctively Fearne. It also has a silent boil and is 75% quieter than other 3kW kettles making it ideal for those who have an open plan kitchen area with no interruptions. 3KW Quiet Boil. Dry Boil Protection. 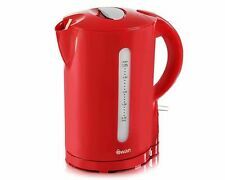 SWAN 1.7L LITRE FILTER CORDLESS JUG KETTLE 2200W. 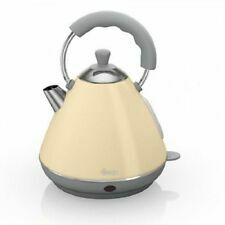 Swan SK18090N 2200W 1.7L Kettle Matt White Finish Features: 360 Degree Cordless Base Concealed Stainless Steel Heating Safety. Locking Lid Automatic Cut Off Boil Dry Protection Twin Water Window Large Spout with Movable and Washable Filter Matt Finish 2200W. Automatic cut-off and boil dry protection features are built in for safety. In this case, the Supplier will inform you of any delay as soon as possible and will give you the option of cancelling your order at this point. Slide Out Crumb Tray. Swan Products 2-Slice Stainless Steel Twist Toaster, 800 W, Copper. 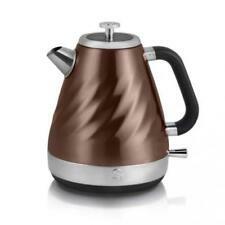 Swan Townhouse Electric Twist Design Jug Kettle, 1.6 Litre, 2200W, Copper. Slide Out Crumb Tray. Defrost and Reheat Functions. Swan Brand SK34010COPN Pyramid Kettle, 1.7 Litre, Copper. Constructed from hygienic stainless steel and with exceptional build quality, this 3.5 litre Catering Kettle from Swan is designed to last and will provide years of sterling service in any kitchen. Features include illuminated on/off switch, boil dry protection, and a large lid for easy filing, all of which combine to make this appliance great for when brewing up for many! Stainless steel construction Keep hot function 26 Litre/104 cup capacity Automatic temperature control Unique style steam vented lid fitting Concealed element Reboil switch Drip tray Boil 2.5kW Keep hot 190W. Automatic cut-off and boil dry protection features are built in for safety. ÔÇØ ú %^& ()@,?. : Our system cant process these symbols and so there will be a hold up with your order . 4indoors provides a standard one year warranty on all of our products. 3kw rapid boil. Cordless design. 360 degree base. ÔÇØ ú %^& ()@,?. : Our system cant process these symbols and so there will be a hold up with your order . This will need to be set up directly with the manufacturer. Add a touch of tradition to your kitchen with the Swan 1.8 Litre Traditional Kettle. Featuring a classic stainless steel finish, this appliance will create an eye-catching feature before you've even started brewing up. Automatic cut-off and boil dry protection features are built in for safety. · 3kW Rapid Boil for optimum efficiency along with automatic cut out and boil dry protection. Swan SK31010N 1.7. Litre Kettles Stainless Steel. Therefore products may differ slightly to the image. Cordless design, Easy Pour and 360 degree base, ideal for left or right handed users. Add a touch of retro styling to your kitchen with the Swan 1.7 Litre Retro Pyramid Kettle. Featuring a chic, 60s-inspired design and striking black finish, this appliance will provide a talking point even before you've started brewing up. 360 degree bullet kettle with open handle. Stainless steel red body. Therefore products may differ slightly to the image. Switch with illumination. Safety boil dry protection. With a stylish Red finish and contemporary bullet shaped design, the kettle effortlessly combines style and functionality. 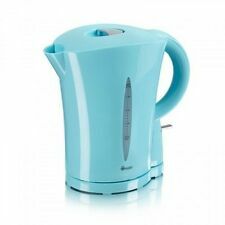 Boasting 3000W of power for faster boiling as well as a generous 1.7 litre capacity, the kettle is ideal for sharing hot beverages with friends. 1 x Swan Fearne 1.7 Litre Jug Kettle Quiet Boil 3KW Lily. Powerful 3kW kettle featuring quiet boil making it ideal for those who have an open plan kitchen area with no interruptions. It is also quiet boil, making it ideal for those who have an open plan kitchen area with no interruptions.